One of these three girls is a grandmother and the mother to the other two. Can you find her? 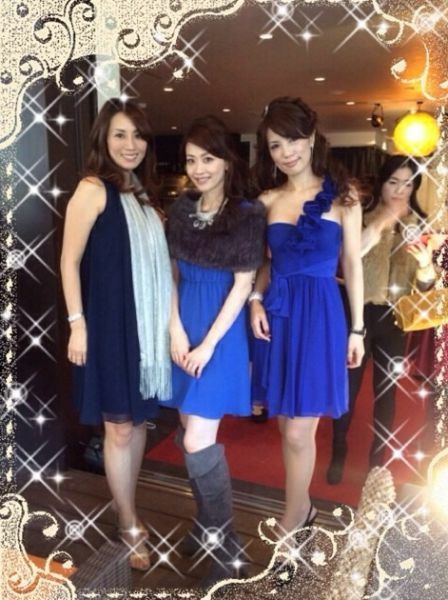 Kazuko Inoue is 42 years old and had her first daughter at 19. She's is better looking than both her daughters! Would I do her like Fry from Futurama? Nowadays is a very common thing that women in her early 40s look like that. And i hope that in 20 years most women in her late 50s look like Christy Brinkley. This is how the new term GILF came into existence! Eish! Thought it was the one on the left. Hey Lohan, check out a REAL celebrity! She looks younger in the first pic than the rest. I picked her out straight away. She looks older, the fat has gone from under her skin. I wish she was my mother in law.